The African Growth and Opportunity Act (AGOA) was signed into law on May 18, 2000 as Title 1 of The Trade and Development Act of 2000. The Act offers tangible incentives for African countries to continue their efforts to open their economies and build free markets. 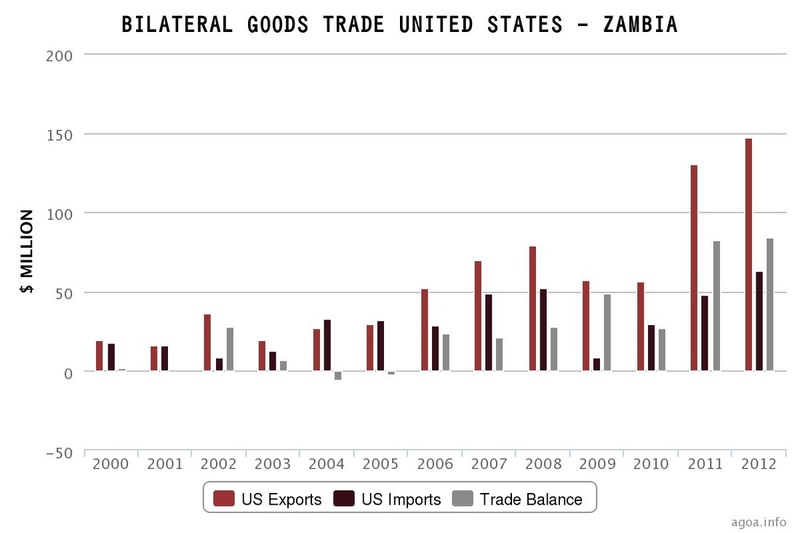 Zambia became eligible under AGOA in October 2000. Zambia became eligible for the apparel provision in December 2001. The special apparel rule applies to Zambia. In order for countries to be eligible for apparel benefits, they must have in place an effective visa system to prevent illegal trans-shipment and use of counterfeit documentation, as well as effective enforcement and verification procedures. The Africa Investment Incentive Act of 2006 (signed by President Bush on December 20, 2006) amends the textile and apparel portions of the African Growth and Opportunity Act (AGOA) and is referred to as "AGOA IV". Textiles and textile articles produced entirely in a lesser-developed beneficiary country. Until September 30, 2012, lesser-developed beneficiary sub-Saharan African countries may use non-U.S. fabric and yarn in apparel wholly assembled in their countries and still qualify for duty- and quota-free treatment. Exports under the Special Rule are subject to a cap. Lesser-developed countries are those with a per capita gross national product of less than $1500 a year in 1998 as measured by the World Bank. AGOA IV continues to grant lesser-developed beneficiary country status to Botswana and Namibia, qualifying both countries for the Special Rule.